Over the last couple of years, I've shared my thoughts on style as well as the evolution of my personal style. However I'll admit to being remiss on discussing my thoughts on grooming and how equally important it is. After all, wearing a nice suit or whatever with a scruffy face or dirty nails is quite counter-intuitive in my opinion so I consider grooming a key part of curating my daily style experience. With time, I've gathered a random assortment of grooming tools and when I say random, I mean everything from mini-screwdriver sets for my glasses to nail clippers in every shape and size. With my recent career change and the amount of travel now involved, hauling what I consider the necessities became a challenge, especially with trying to carry on more and check luggage less. 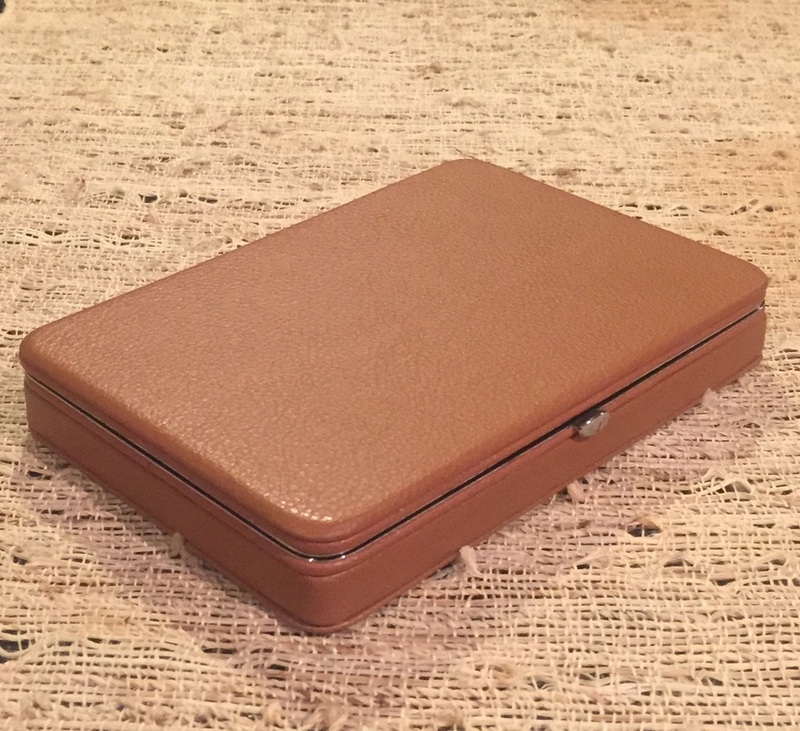 So needless to say, I was actually quite glad when I got an email from Caitlin over at DadGifts.com and checked out their style products for men which include a range of manicure sets like the Tan Leather one I'm reviewing here. While I get why it's called a manicure set, I feel its more of a full grooming kit because it contains items beyond just nail care which quite frankly are maybe even more important to me like a shoe horn, collar stays and mini-screwdrivers for my glasses. Quick disclaimer - While I got a set compliments of DadGifts and while I'm sure you guys know this by now, these are my true thoughts on this. Besides being just the right size for both everyday use and travel, this thing is really good looking. Like I was straight up surprised out of the box by both the looks and the quality, which quite frankly are probably as important to me as the functionality. 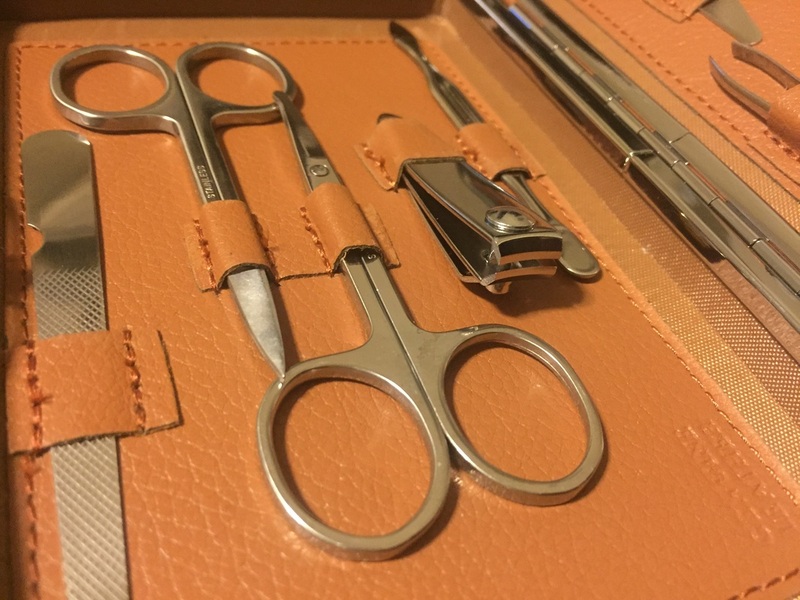 All leather and stainless steel, the whole set weighs about 11.3oz and contains 10 tools: nail clippers, file, cuticle cleaner/pusher, precision tweezers, 2 pairs of scissors, shirt stays, shoe horn, knife, and eyeglass screwdriver. I don't have kids yet, but I can totally see DadGifts.com coming through for wives and kids who have no clue what to get for birthdays, anniversaries etc. They've curated these collections for everyone from the outdoorsy guy to the chef. Celebrities and the wealthy probably can get away with throwing on some nice gear with no one paying attention to what their nails look like or caring about screws popping out of their glasses but odds are they don't. Personal grooming is a must for the majority of us, so why not use something that not only looks good but gets the job done? I've used this for a while now prior to completing this review and I think this set nails (pun intended) the right combination of form and function.